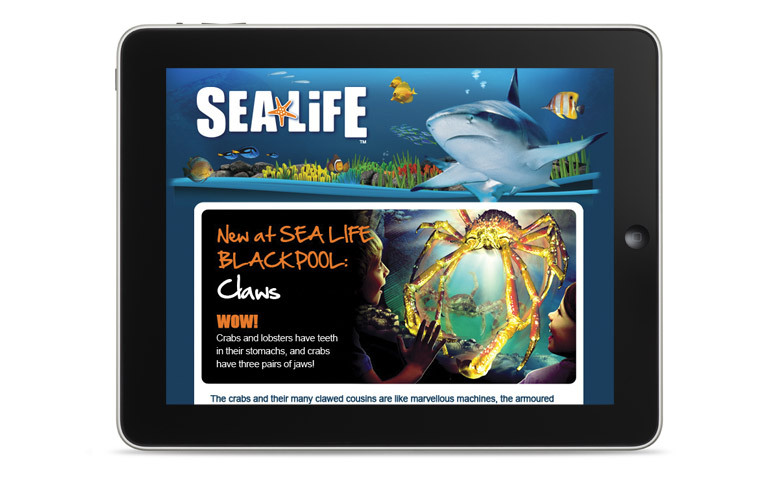 The Sea Life brand is part of the leading entertainment group Merlin Entertainments. There are Sea Life centres across the World, with one of the most well-known being found in London. CuCo produce both printed and digital communications for the aquariums. 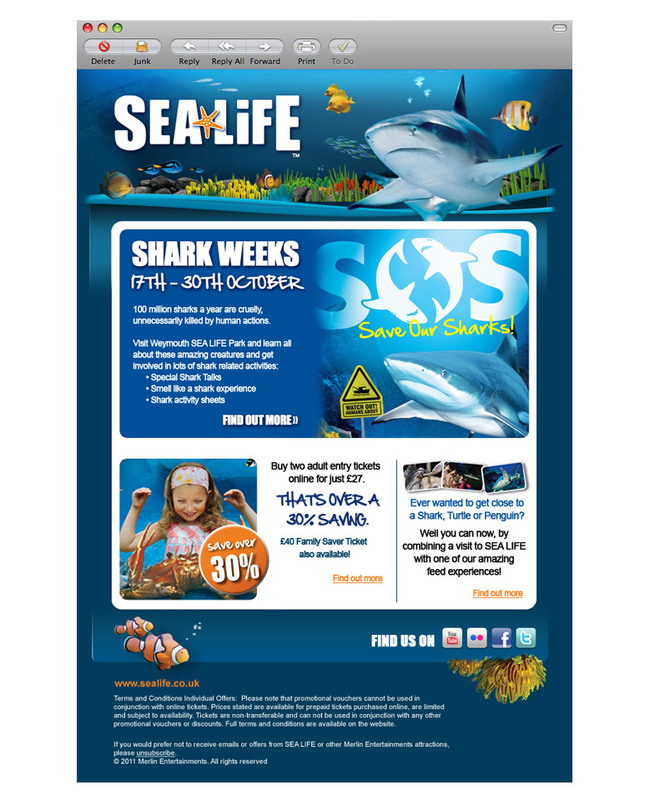 CuCo have recently produced numerous e-newsletters for the entertainment giants, designing and building emails to promote specific campaigns running at the aquariums both in the UK and Internationally.